Learning the rules of the waterways and learning how to handle the boat go hand in hand. However, boating etiquette isn’t included in your owner’s manual. If you’re new to boating in SWFL or simply need a refresher, we’ve gathered some of the most helpful written and unwritten rules to make your day on the water more fun, less stressful and safer for everyone. Our first set of tips technically falls somewhere between etiquette and rules, but since the waterways can be so circumstantial, we consider them some of the most important on our list. Know if you are the stand-on vessel or the give-way vessel. Slow down if another boat is trying to move around you. “Red, Right, Returning” will help you remember to keep the red aids to the right side of your vessel when returning back to land. When heading out to sea in the channel, keep the green aids on your right. If there is no route marked, navigate clockwise around landmasses. It happens all too often: you’re about to hook a big one and then out of the corner of your eye you see a boat flying in your direction. The fish gets spooked and you’re standing there with your arms up in the air feeling defeated and quite frankly, ticked off. If you see a boat anchored in the middle of open water or along the mangrove line, odds are they’re fishing. Alter your route as much as safely possible so the roar of your engine doesn’t scare off the fish. If you’re unable to maneuver around, at least slow down as much as possible. On the flip side of this, please don’t anchor and cast a line in the middle of a busy channel. We’ve all got a great ramp story to share! Follow our boat ramp tips to keep from being the star of the next funny story. Load everything you need for your trip into the boat before you pull up to the launch. Doing this on the side of the parking lot will give more space for others to move in and out without delay. Before you park your vehicle and trailer after launching, move your boat to the side of the dock and out of the middle of the ramp. Communicate your launching plan with your guests so they know where to stand (or where not to stand) while you get everything ready to go. People aimlessly walking around the parking lot or dock can create a traffic nightmare. Even for experienced captains, approaching a dock full of boats and onlookers can be a little intimidating. The worst possible thing you can do in this scenario is let your audience distract you, causing you to slam your vessel into the dock. Not only does that make you look silly, it’s also very dangerous and can damage your boat and the dock. For a docking refresher, check out this video from the US Power Squadron. This etiquette tip is a courtesy to your passengers, but still important nonetheless. Give a shout or wave to your guests before throttling up or down too quickly. This will ensure they’re safely braced or seated and will prevent snacks, gear, and even phones from flying everywhere. The same goes for making hard turns or coming to a stop. 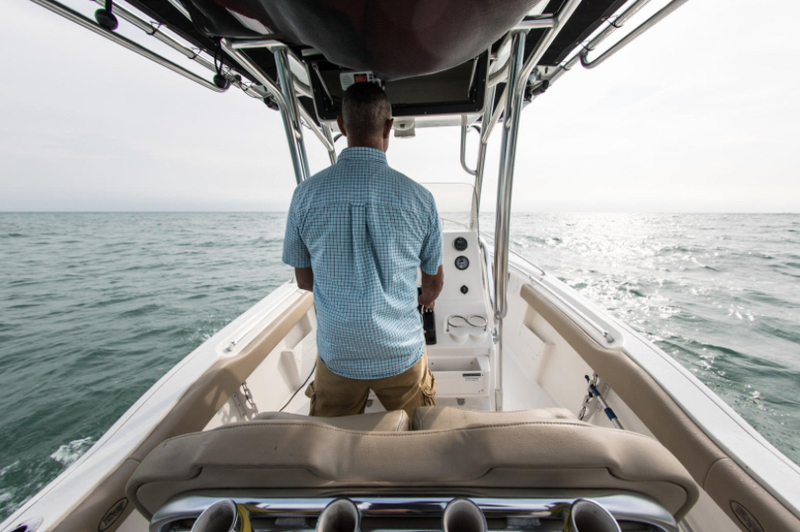 Knowing a few of these common boating etiquette tips will help fill in some gray areas you may encounter while navigating the rules of the water. However, we can’t stress how important it is to learn the official rules and aids to the navigation system to keep you, your vessel, and other boaters safe.